Laia Ortiz is deputy mayor of Barcelona and chair of the EUROCITIES Social Affairs Forum. 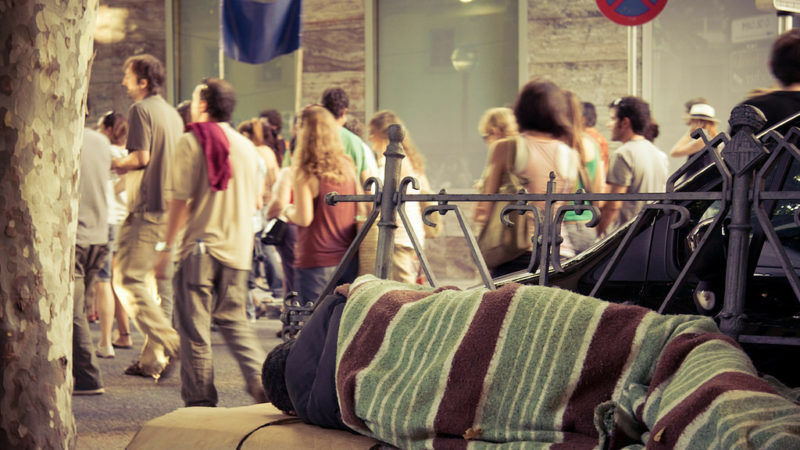 Around one in four people in the EU live at risk of poverty or social exclusion. This is higher than pre-crisis levels. The numbers suggest the EU is a long way from achieving its 2020 target to significantly reduce this risk. We are looking at a lost decade in the fight against inequalities in Europe. This Wednesday (26 April), the European Commission is set to unveil its proposal for the European Pillar of Social Rights. Later, in autumn, it hopes to get the seal of approval from EU heads of state and government at the EU Social Summit in Gothenburg. It’s a big year for guaranteeing social rights to all Europeans. EUROCITIES is committed to working with the EU institutions and national governments to address the challenge of urban poverty and rising inequalities. Reflecting on what cities can do to make a more tangible difference to reducing inequalities, deputy mayors in charge of social affairs agreed, at our recent forum in Lisbon, that we need to put people first and set the right priorities. Children should be a clear priority for all levels of government. EU data shows that the risk of poverty is highest for children across all age groups. Moreover, reducing inequalities in childhood can have a major impact in reducing inequalities in skills, academic performance, health and incomes in adulthood. In this way, it can help to change the dynamics and trends that perpetuate and reproduce patterns of inequality. Changes in the labour market have also produced new forms of poverty and inequality, such as the working poor. These structural changes generate structural unemployment rates and job insecurity, which should also be addressed as a priority at EU and national levels. Housing also represents a major cause of exclusion in our cities. Average incomes fell as a result of the financial crisis, while housing costs, including rent, have increased alarmingly. Public administrations could do more to improve living conditions for their most vulnerable citizens by directly addressing challenges in the housing market. Cities have put in place reforms to improve and integrate services in areas as diverse as childcare, healthcare, housing support and migration. My own city, Barcelona, is currently implementing a long-term strategy for inclusion for the next 10 years, which was co-created with citizens, businesses and civil society organisations – a total of 650 organisations are now working together to make Barcelona more inclusive and to reduce inequalities. Cities have demonstrated what works best. We can prevent people from falling into poverty by providing adequate social investment. We can protect even the most disadvantaged people and allow them to participate in society. But we cannot do it alone. Europe has gone through dramatic socio-economic changes, which produced new challenges that we, cities, need to address together with the EU. At EU level, the Pact of Amsterdam for an Urban Agenda for the EU gives cities the status of equal partner with the EU institutions, national governments and regions. In this space, we can develop together sustainable actions. However, there is room for improvement. The urban poverty partnership is a first step in the right direction but concrete commitments from all partners still need to be proven by implementing the actions we develop together. First and foremost, we need better financing, both in terms of the availability and accessibility of EU funding. Currently, cities have no direct access to EU funds that are designed to reach the most deprived, such as FEAD (the Fund for European Aid to the Most Deprived). Furthermore, many cities find it difficult to access European Social Funds dedicated to social inclusion. Using existing EU funds to tackle poverty at the local level is still a challenge. We need funding to be better channelled to where it is most needed and where the issues lie, in cities. This means combining current funding support to tackle both territorial and people-centred challenges in the same area of a city. It is a crucial time for Europe. The future of the EU is uncertain, and with it questions about our common commitments are being asked. Cities are ready to play an active role and have the democratic legitimacy with direct responsibility to address the social challenges faced by our citizens. But we need the means to do it. We want to work together with the EU and national governments, we want to participate on an equal footing in designing the social priorities for Europe. We are convinced that a meaningful involvement of local authorities will bring the best results for EU citizens and will engage them more fully in the European project.